This pass is for visitors to Japan. Pass holders can make free use of not only regular reserved seats on limited express trains (including shinkansen trains), express trains, and local trains (including kaisoku [rapid] trains) on JR East lines (including BRT), all Izu Kyuko Lines, all Tokyo Monorail lines, all Hokuetsu Express lines, and Echigo Tokimeki Railway lines (Naoetsu Station–Arai Station) but also regular reserved seats on various limited express trains, including Nikko, SPACIA Nikko, Kinugawa, and SPACIA Kinugawathat provide direct-through service between JR and Tobu lines. - Echigo TOKImeki Railway: Arai-Naoetsu. *The pass can be used for travel on local and rapid trains between Shimo-imaichi and Tobu-nikko/Kinugawa-onsen on Tobu Railway Lines. Between Kurihashi and Shimo-imaichi Stations, the pass may be used only on limited express trains that connect directly with Tobu Railway Lines. - The JR EAST PASS (Nagano, Niigata area) may be used for Tobu Railway Lines as long as either the departing or destination station is on a JR line. 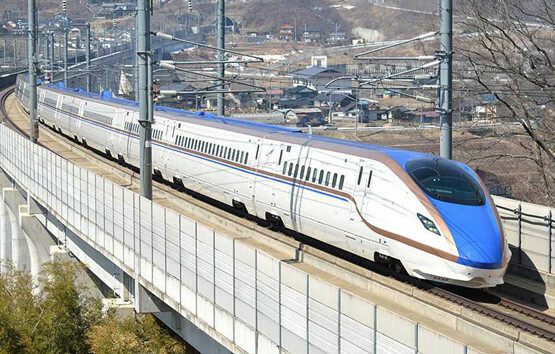 - The JR EAST PASS (Nagano, Niigata area) is not valid for the Tokaido Shinkansen as that is operated by a different rail company. - GALA Yuzawa Station is operated only in Winter and Spring season.